Home Tags Posts tagged with "joey mcintyre"
Wow! Isn’t life a funny thing? Heavy D’s passing, after collapsing from respiratory problems outside his Beverly Hills home on Tuesday night (8 November, 2011), shocked so many. As well as the fact that it was so untimely, being he was only 44, I think it hit even harder as this year, after being out of the spotlight for a while, he has been in the public eye more than in what’s seems like forever. There was the BET Awards just last month (his first televised performance in 15 years! ), where he smashed the stage to bits, proving he was still very much the smooth showman we all grooved with back in the day, by dancing and rapping up a storm! And even became a trending topic worldwide on Twitter for his troubles. Next he pops up in the latest Eddie Murphy and Ben Stiller movie Tower Heist, which came out in the UK last week. Then there was his trip to London, again last week, for what I am assuming was the first time in a while, where he visited the Tim Westwood Show and gave what would become his last interview, among other things. I remember him tweeting while he was here that he was watching a particular film on UK television and I tweeted back, asking him what he was doing in London, as I was keen to arrange an interview. He never replied, so sadly this didn’t happen. Also, just two weeks ago I got an email out of the blue about interviewing Andre Harrell, respected music industry trailblazer and former CEO of Uptown Records, where Heavy D and the Boyz got their start in the late 80s, as the first act on the label. They went on to become one of the most popular hip hop acts of the 90s and Heavy went on to enjoy a fruitful solo career, featuring on tracks by the likes of Michael Jackson (Jam) and producing for artists as a varied as Jay-Z and Lenny Kravitz. He also moved into acting and appeared in flicks such as Life (alongside Eddie Murphy and Martin Lawrence). But not many know how much Heavy contributed to the growth and success of Uptown, and that it was he that helped a young Sean ‘Puffy’ Combs get his internship there, the one which put him on the road to success. This in particular got me reminiscing about the self-dubbed ‘overweight lover’ and revisiting his videos on Youtube, as Andre had a lot to say about Heavy and how Andre ensured he wasn’t looked at in a stereotypical way in the industry because of his size, which is where the dancing and sharp suits came in. I was trying to pick one video to slot in to the article, but there were too many to choose from so I had to narrow it down to two in the end. My favourite song of his is probably Got Me Waiting, which I used to rewind to death on my CD player back in the day! The big man, who not only entertained us with his own music, also bought us the group Soul IV Real, who will also be etched in music history just for their Heavy D featured hit single Candy Rain. The huge sense of loss felt by fans and celebs (many who were also fans) has been reflected in the number and nature of tributes issued on his behalf since the news broke. Hip hop website Rapradar.com posted a long list of tweets which came from rap world, which spoke volumes. But the fact that tributes also flooded in fast from outside of the rap stable, and from some seemingly unlikely sources, showcases how how far the love of Heavy D spread. For example singer Joey McIntyre, from boyband New Kids On The Block, who to all outside of his core fanbase would not be the first person you would mention when you said the words: ‘Heavy D’. 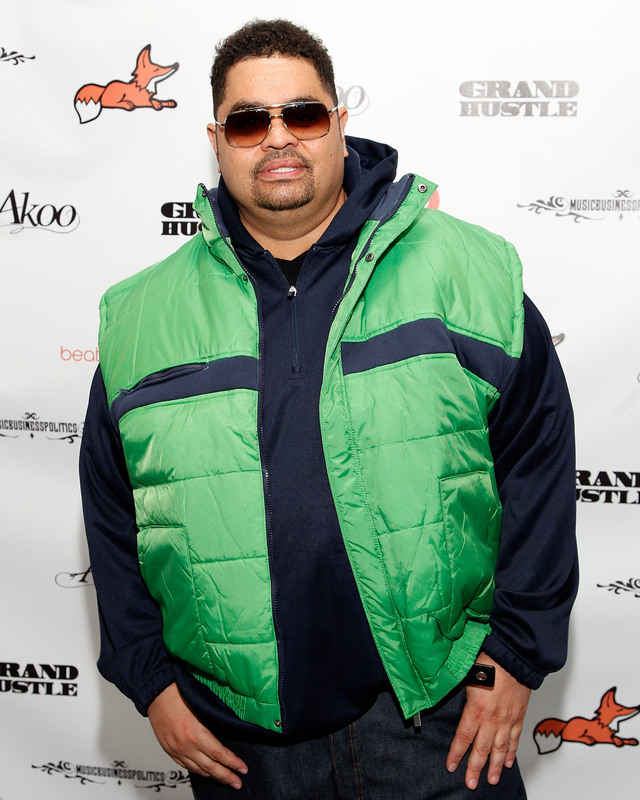 But following Heavy D’s passing, this dude went past tweeting and wrote a WHOLE blog post on how much Heavy D affected his life, and how much he will miss him as an artist and some one he was lucky enough to have met on a few occasions and have a genuine connection with. That’s serious. The group’s Donnie Wahlberg also gave his own tribute by sharing a picture of him and Heav back in the day with his Twitter followers. You would assume that when someone dies, people will automatically have something nice to say about them because it is the ‘right way’ to express things in such circumstances. But with Heavy D you get the impression that these are the same really nice things people thought and said about the guy when he was alive. R.I.P Dwight Arrington Myers bka ‘Heavy D’! You will always be a true hip hop legend!